Since 1979 we've worked hard to reach the public with our lifesaving information. We see our most crucial role as helping everyone understand the risks of skin cancer, letting you know everything you can do to avoid the disease and showing you how to spot potential skin cancers at an early stage, when they are almost always most curable. 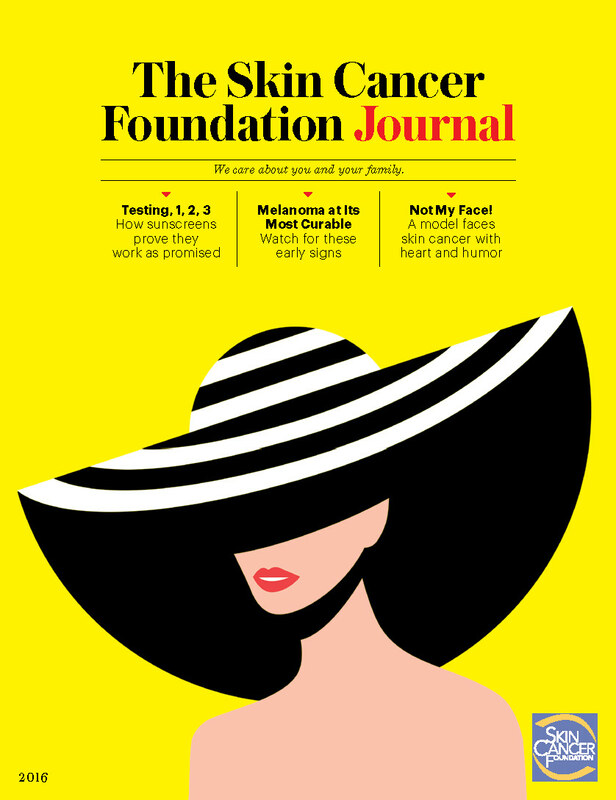 In this issue of The Skin Cancer Foundation Journal, a dermatologist tells you, in D Without Damage, how you can have both sun protection and vitamin D without skin damage or nutritional deficiency. Do you know the best ways to keep your face, neck, chest and hands soft, smooth and unspotted, and which factors are most likely to age you skin before its time? What's Your Skin Sense Score? gives you the answers. Parents' instinct is to protect their infants and toddlers from harm. In Oh, Baby!, our experts report that too many babies are getting tans and sunburns. They offer simple tips to preventing damage to your child's skin that could lead to skin cancer. Finally, he came from humble beginnings, but the skills and lessons Perry Robins, MD, learned along the way led him to become a preeminent physician, a leader in the fight against skin cancer, an influential businessman and a philanthropic citizen of the world. See The Big Wheel.